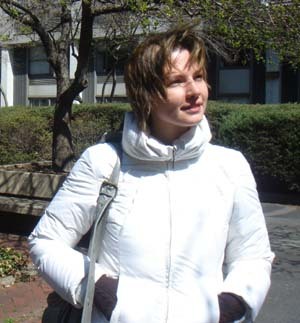 Jasna Brujic is an Assistant Professor of Physics in the Physics Department of New York University. She is one of several core faculty members that compose the Center for Soft Matter Research. Professor Brujic received her Ph.D. for work on the transmission of stress through particulate matter at the Cavendish Laboratory of Cambridge University. She then conducted post-doctoral research on the dynamics of single molecule protein systems in the lab of Julio Fernandez in the Biology Department of Columbia University, New York City. Professor Brujic has been on the faculty at NYU since 2007 and leads research initiatives in both of her major areas of expertise: jammed matter and biophysical systems.